Arnold Broxup a dedicated supporter and worker for the Royal National Lifeboat Institution and a well respected member of the community died this morning, 3rd April 2015. The Lytham St Annes Lifeboat Station were saddened to hear of the passing away of their former Tractor Driver and Head Launcher Arnie Broxup a few days after his 90th birthday. Born at the Guides House hamlet on the banks of the River Ribble on 27th March 1925, Arnie and his family were forced to move in World War Two to Warton Bank then later to Lytham by the building and development of Warton airfield. In 2003 Arnie published a book entitled “The Guides House” on the lost community where he was born. Picture (David Forshaw)- Arnie Broxup driving lifeboat tractor T38 in 1962. Arnie was a great sailor owning numerous boats over the years and a founder member of the Ribble Cruising Club in 1950, becoming Commodore in 1958. 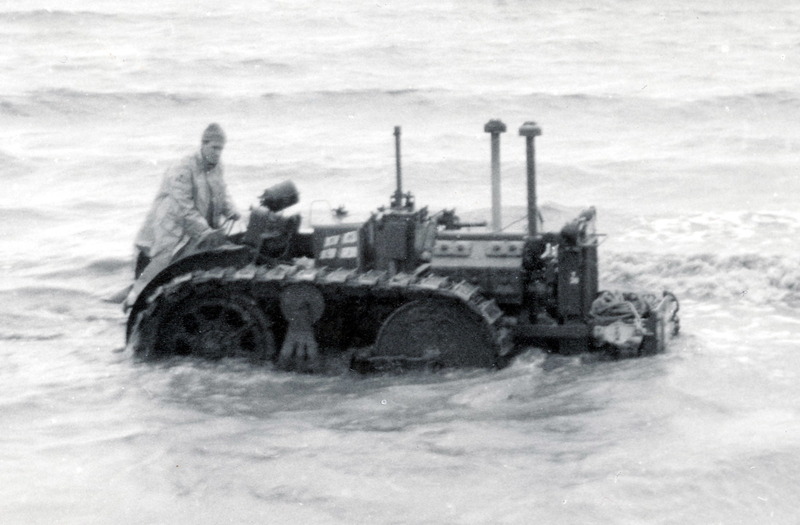 It was only natural that he should support the work of the RNLI.In 1961 the RNLI sent a caterpillar tractor to launch the Lifeboat Boarding Boat over the thick mud which had begun to cover the beach. Arnie immediately volunteered to become the driver and therefore joined the crew on their 24-hour a day availability to rescue people in danger at sea. He also went out on the Lifeboat on rescues on a number of occasions when his tractor driving skills took second place. He retired from the service in 1986 on reaching the then age limit but threw himself into fund raising and assisting the Lifeboat in any way he could and in any capacity- including dressing up as Grace Darling’s father for the 150th anniversary of the heroine’s dramatic rescue. Picture (Anne Turner)- Old Lytham Lifeboat House and former Lytham Lifeboat Museum. 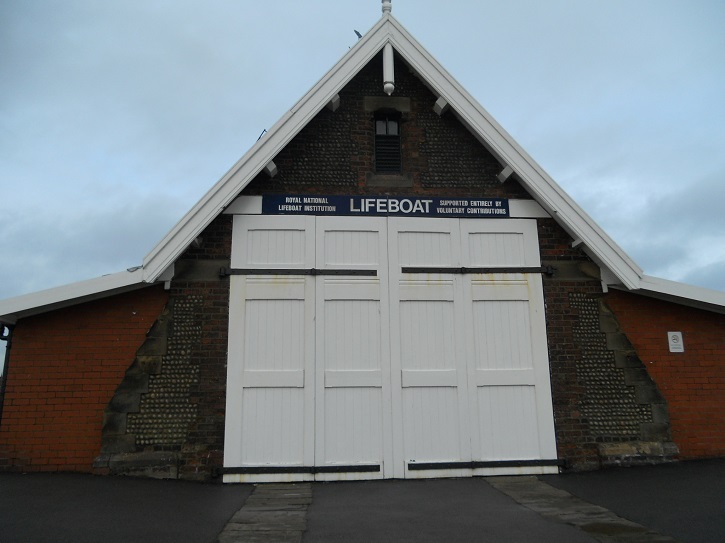 Arnie was a member of the team that set up the Lytham Lifeboat Museum in the Old Lifeboat House in 1986, and continued until it was forced to close in 2004. In 1987 he joined the Lytham Heritage Group when it was founded and assisted with the early displays in the Windmill, next door to the Lifeboat Museum. Arnie, along with his friend and colleague Tony Bloomer, the Station’s Honorary Rigger rope expert, would turn their hands to anything to help the RNLI. He was a gentleman who will be greatly missed by all who met or worked with him and our thoughts are with Arnold’s wife Joyce and their family at this sad time.